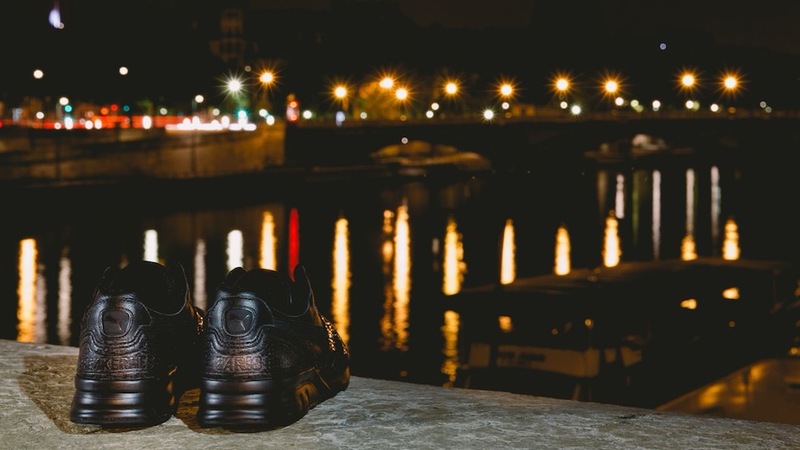 It’s going down this weekend people in Paris as Sneakerness comes to the French capital. Having already hit Germany, Poland, the Netherlands and Switzerland the Sneakerness crew bring their amazing event to France this weekend, September 6 and 7. It’s gonna be off the chain people with some serious heat on sale, amazing customs from the likes of Kicks on the Moon and Julien OG, clothing and all nature of sneaker-related products. Shouts to the Liquiproof crew who are gonna be in the building. Plus music, giveaways and a whole lot more. Shouts to the original King of Trainers who is also gonna be in the building and to all those from the UK and across Europe and even further afield making the trip out to Paris this weekend. If you’re in Paris or anywhere close you should definitely try and make it and The Word on the Feet crew are gonna be in the building too so holler when you see us in the venue in the Street Weird JUST GWAAN DO IT tees! There will also be the extremely limited Sneakerness Paris Puma XT2 that you can see above on sale at the event but you’re gonna have to get there early if you’re looking to cop…so what are you waiting for??? It all happens this Saturday and Sunday September 6 & 7 at Le 104 in Paris check the info below and head to the Sneakerness website for tickets and more info. Admission: 7 Euros per day or 10 Euros for a weekend pass.